Esther Van Schuylenbergh is a designer with a master’s degree in Textile Design at the School of Arts in Ghent, Belgium. After graduation in 2014 she worked as a textile designer for a Belgian wall covering company until setting up her own design studio in Ghent in 2016. 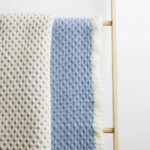 In her design studio she develops woven textiles suitable for interior design applications on her handloom. 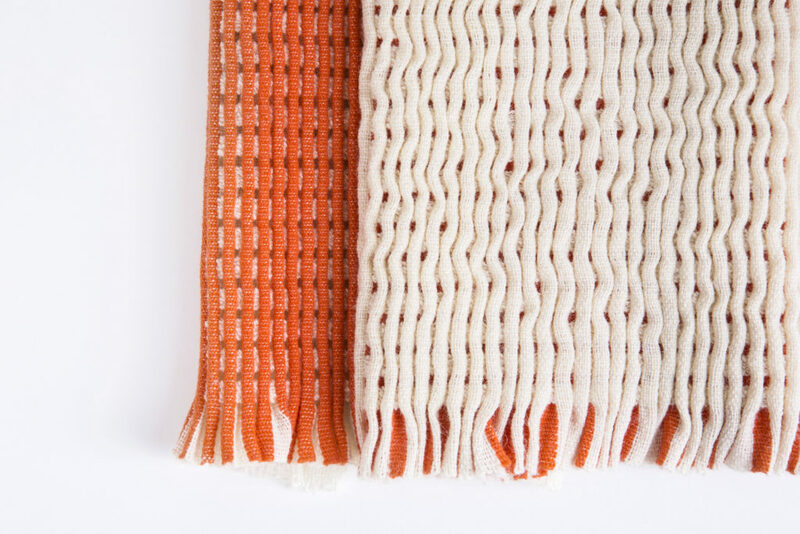 Striving to push the boundaries of the weaving technique, she explores the possibilities of yarn and construction to create innovative structures. 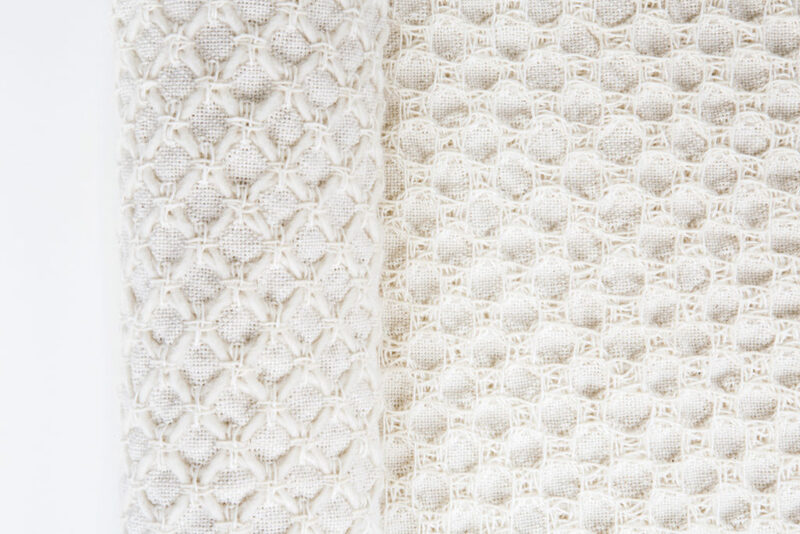 The core business of the studio is the design and development of woven textiles for the industry. 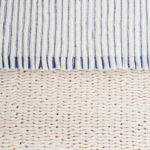 By using a 32-shaft computerized handloom, Esther is creating dobby weaves with a keen eye for texture, pattern and colour. Currently, she is working on a library of unique design swatches for upholstery, curtain and wall covering fabrics which are suitable for industrial production. Each sample is designed on the handloom and ready for mill development. 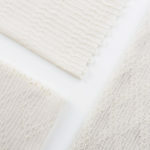 All swatches are sold complete with copyright, technical files and yarn information. 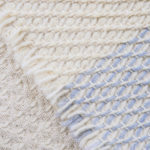 In addition to her work for the industry, Esther is able to create short runs of handwoven fabric for special one-off projects. 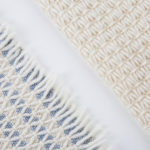 This allows her to experiment with different types of materials and structures that cannot be woven on industrial looms. Esther Van Schuylenbergh will be exhibiting at New Designers’ One Year On (Part 1), 28th of June – 1st of July 2017 at the Business Design Centre in London, 52 Upper Street London N1 0QH. This entry was posted on Thursday, June 22nd, 2017 at 10:00 am	and is filed under Company Profile, Exhibitions, General, New weave developments. You can follow any comments to this entry through the RSS 2.0 feed. You can leave a comment, or trackback.